Expand your reach with a powerful platform that can engage your audience and increase your revenues. At the BCEC, a nearly 80-foot-tall Marquee illuminates the city. A 2000-square-foot seamless Video Wall greets visitors as they walk through our doors. A network of 31 large LED displays extends across the entire facility. 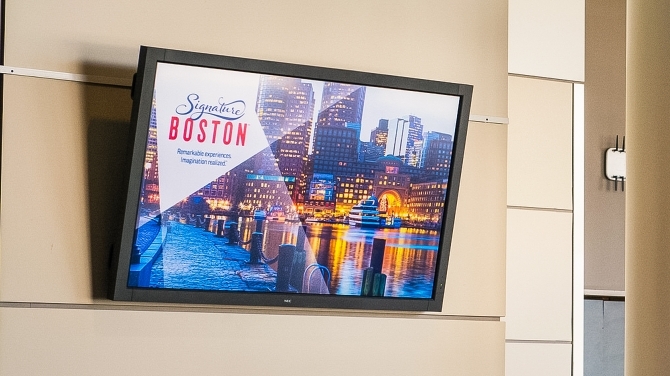 Our Digital Displays give you access to a powerful digital canvas, unique in the convention industry, as well as the infrastructure to make it work for your sponsors, exhibitors, and guests. We make it easy to create rich dynamic experiences that will delight your audience. Nearly 80 feet tall and providing a display area of 3,000 square feet, the Marquee reaches a daily audience of more than 200,000 pedestrians and motorists, and is visible a half-mile away. 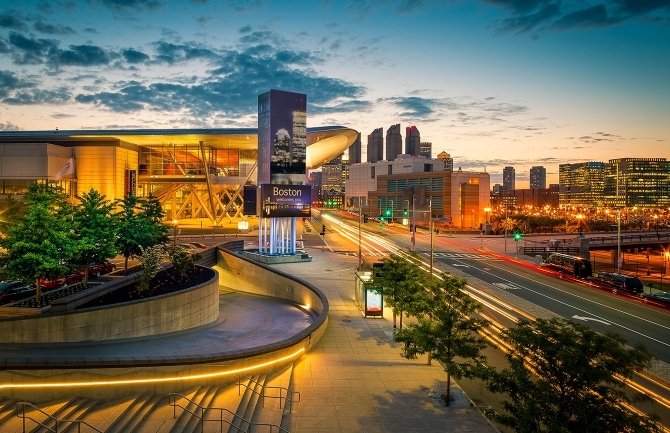 It’s often the first thing to catch attendees’ attention as they approach the BCEC. Spanning the central section of the north lobby, the 160-foot-wide Video Wall gives you 2,000 square feet of seamless, attention-grabbing video real estate – the perfect way to deliver a high-impact message to your attendees. An integrated network of 31 65” displays gives you access to audiences across the facility. Better yet, it’s easy to coordinate your content with the Marquee or Video Wall.